This entry was posted in Color Theory, Materials and tagged burnt plate oil, Gamblin inks, In Celebration of Thin Places, ink, innovation, relief printmaking, transparent base on December 19, 2013 by Elizabeth Busey. Sometimes nothing helps an artistic funk like a piece of new equipment. Thanks to a grant from the Indiana Arts Commission, I was able to purchase a new oversized roller from Takach Press. It has a diameter of 4″ and is 14.75″ long. It is fabulous. My new roller from Takach Press. Heavenly. This entry was posted in Materials, Techniques and tagged brayer, Indiana Arts Commission, Individual Artist Grant, ink, printmaking, rollers, Takach Press on December 4, 2012 by Elizabeth Busey. It has been a long four months for my latest set of prints. I began them, along with two others, in October. My reasoning in working on so many prints at once was that each ink layer takes a while to dry. Since the blocks are fairly large, it seemed reasonable that I would carve and print one series while others were drying. 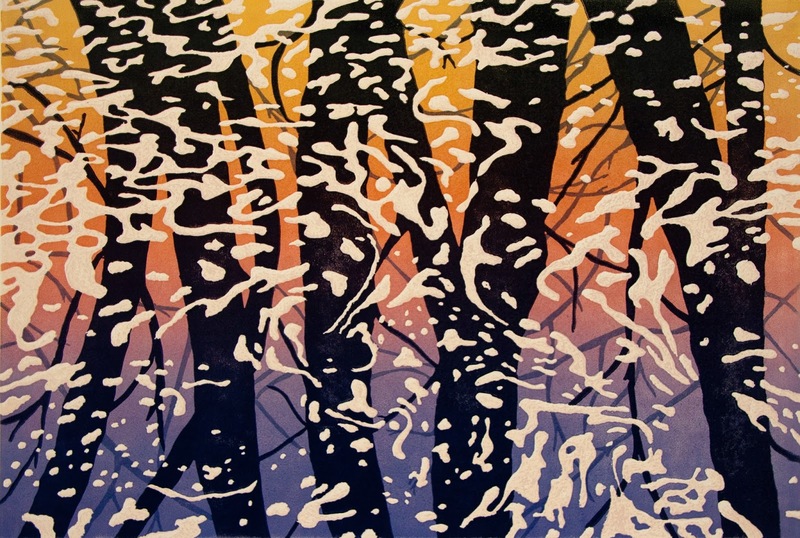 Elizabeth Busey, Frost on the Land I. 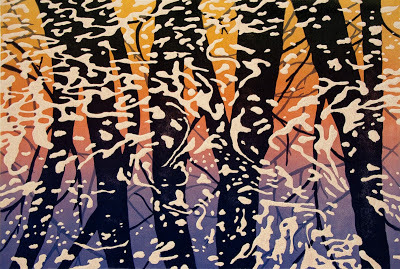 This entry was posted in Materials, Topography and tagged Bloom Magazine, drier, frost, ink, IVY Tech Bloomington, land, Linocut, Local Artist Showcase, printmaking, tuway drier on February 22, 2012 by Elizabeth Busey.